B.I.B. POLYCOVER CO.,LIMITED is a professional manufacturer and exporter of different kinds of plastic covers and its related products. We are located in beautiful seaside city Qingdao, China. Rely on our joint venture factories’ advanced production facilities, optimized manufacturing technology and rich management experiences, we have been providing our clients with best quality, competitive price and on-time shipment to keep long term business relationship. Through continuous development, our product range has expanded to following categories. Based on our business philosophy of “honest and trustworthiness”, we have already exported our products to Europe, America, Australia, Japan and Middle East etc. And our stable supply makes us harvest good reputation in market. 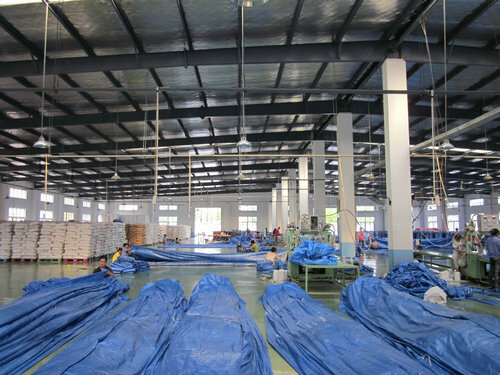 If you are seeking for plastic covers or its related products, B.I.B.POLYCOVER CO., LIMITED will be your right and reliable choice. Wherever you are, whatever you need, we are always right here waiting to support you.